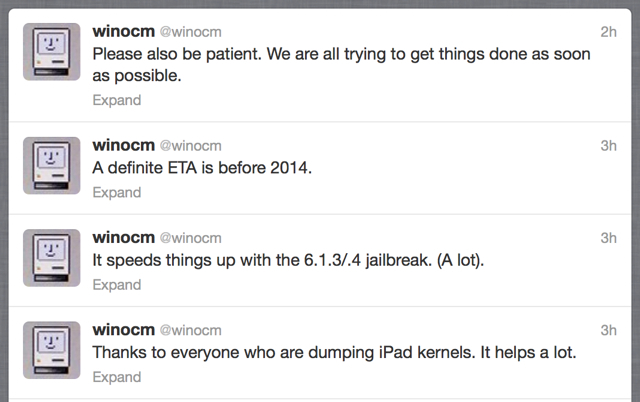 Winocm, the hacker working on the iOS 6.1.3/6.1.4 jailbreak, says that a 'definite ETA' for the release is 'before 2014'. Thanks to everyone who are dumping iPad kernels. It helps a lot. It speeds things up with the 6.1.3/.4 jailbreak. (A lot). A definite ETA is before 2014. Please also be patient. We are all trying to get things done as soon as possible.